Provide services in Mechanical and Electrical Engineering and Metrology Solutions. Prepare the installation and operation of high precision measuring machine in different environments like high graded clean rooms etc. Perform and / or supervise the installation of high precision measuring machines at the customer site in challenging environments. 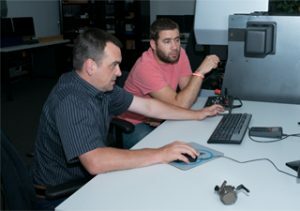 Customization of the machine setup using very close communication to the company head quarter in Germany. Manage the inventory of all calibration devices and make sure their calibration is valid and traceable to the NIST standard. Perform service calls to very critical installations and calibrations in person. Understand and interpret electrical and mechanical blueprints, schematic drawings, layouts and other visual aids. 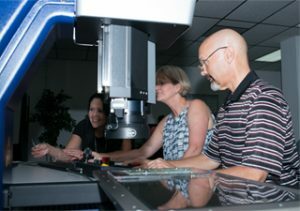 Conduct surveys to gather data of environmental conditions of metrology laboratories. Prepare technical construction and operation specifications. Provide application support on the phone and on site. Review and critique proposed changes to engineering standards, policies, or details. The Werth, Inc. compensation package is performance based and includes: guaranteed salary with merit increases possible, monthly auto allowance or a company leased car, a medical benefits plan, short and long-term disability insurance, life insurance, paid vacation and holidays and more. Our comprehensive training program and close ongoing support will provide the tools and direction needed to be successful. We are currently looking for a qualified technical sales person to fill a regional position. A successful candidate will be a highly motivated individual with a minimum of three years experience in technical sales in the industrial market. We seek a smart individual with excellent listening and cognitive understanding skills. Strong presentation, organizational, and interpersonal skill are necessary. A strong math / science background and technical aptitude are required. An engineering degree is a plus. Strong work ethics and a solid career history with a willingness to go the extra yard are a must. 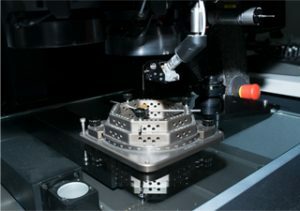 Familiarity with dimensional measurement techniques, especially with optical measurement, is advantageous, but not required. Valid driver’s license and passport are required. Develop new sales through lead follow up, appointment setting, and by conducting face-to-face sales meetings with product presentations and consistent follow-up. Interface with applications engineering to relate customer requirements and contribute to the development of cost effective solutions. Schedule appointments, travel, and perform application analysis and requirement based sales presentations at customer facilities. Maintain accurate customer database records and consistent timely reports. Be responsive to customer needs and follow through on all aspects of requests to secure a high degree of customer satisfaction. The Werth, Inc. compensation package is performance based and includes: guaranteed salary with merit increases possible, sales commissions, medical benefits plan, paid vacation and holidays and more. Our comprehensive training program and close ongoing support will give you the tools and direction you need to be successful. If you are interested in a career with Werth Inc., please fill in the form below.